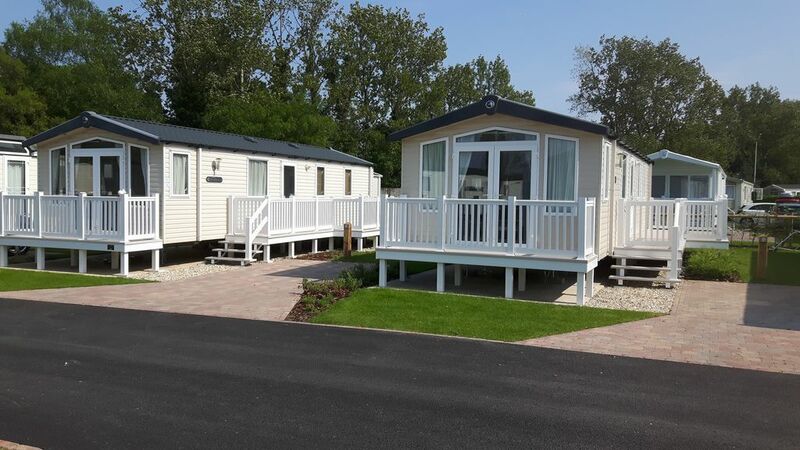 At 35 Sunset View, Rockley Park Poole, we have a Swift Bordeaux mobile home with patio doors, decked patio and large side patio which is truly stunning. It has two good sized bedrooms, a fully fitted kitchen with all the essential equipment, a good sized lounge with fireplace and 32" Colour TV / DVD, a separate full size dining table and chairs, mains water, electric and gas, central heating, double glazing and patio doors leading out onto a lovely patio where you can sit, relax and wind down before turning in for the night. When you collect your keys from reception remember to purchase your Funworks Pass for the duration of your stay, during the specific peak dates only, we will cover the cost of the funworks passes - please ask for details when booking. 'Check in' is from 2pm but if running late be sure to contact the park reception so they know, as they may need to leave your keys with security. Check out' is by 10 am to facilitate cleaning in readiness for the next guests. Having moved to the fabulous Dorset coast over 20 yrs ago, we live locally to the 5* Haven Holiday park situated close to the prestigious Sandbanks Peninsula with it's amazing Blue Flag beaches, celebrity 'locals' and the latest Rick Stein restaurant opposite the beach car park. We also own the Driven By You Driving School, Bournemouth & Poole. These mobile homes are immaculate and amazing. They offer a fabulous homely environment with double glazing, central heating and all mains utilities. With good sized decking with a large outside table and 6 chairs, your own private parking space and situated in a private cul-de-sac on level ground close to the amenities, it's perfect! Wi-Fi code available at reception - there is a small charge direct to the holiday park for this. Welcome biscuits left for us was a nice touch. It would have been nice to have had nets (or similar) at the windows, especially in the bedrooms to give some privacy. The Quilt I think was a king size, but the cover was only a double so didn’t fit properlyother than that, the van was spotlessly clean with a good supply of crockery and utensils. The enclosed decking was a great addition both at the front and the side with the table and chairs. Enjoyed a great 5 day break in this lovely property. Everything was as shown in advert. Loved the safe decking areas, necessary for our enquisitive toddler, which made it totally safe to have all doors open. Great location, and positioned perfectly for maximum sun. Only downside of our break was we didn't realise the outside pool was not yet open and with the lovely weather we had it would have been the icing on the cake. Hope to come back soon. Thank you for your review Lorraine, I'm glad you had a great time. I was super lucky getting two plots in Sunset View, it really does get the sun right through the evening until the sun sets. Shame about the outdoor pool but I hope you made full use of the indoor pool and maybe popped down to the beach? Along the Jurrasic coastline to the west you will come across Corfe Castle while heading eastwards you will come to the New Forest, famous for its natural beauty, free to roam ponies and vast areas to either cycle around or walk, amazing.